Anna Maharaj is a Brahmin and the party has fielded him instead to woo the community. Puja Pal's nomination could have been rejected over a technical issue and that could be a reason as well for replacing her. Lucknow: Samajwadi Party has replaced its Unnao Lok Sabha election candidate Puja Pal with gangster-turned-politician Anna Maharaj. While the party has not been very forthright in explaining this change of heart at the last minute, reports in local media suggest that the party had sensed a wave of resentment among Brahmins against BJP candidate Sakshi Maharaj, an OBC. Anna Maharaj is a Brahmin and the party has fielded him instead to woo the community. Anna contested 2014 polls and bagged the second slot against BJP’s Sakshi Maharaj. 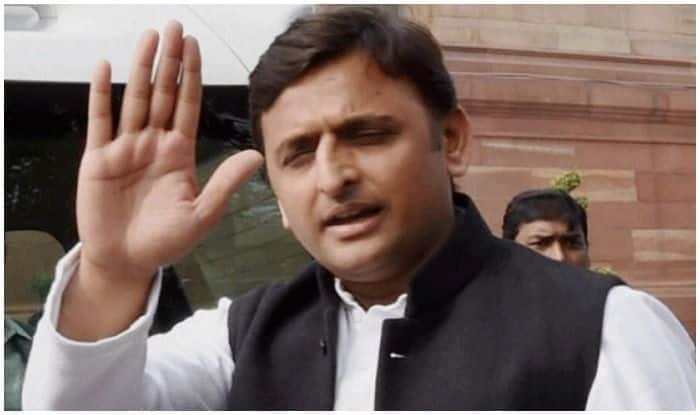 According to a report, Anna is also the first Brahmin in the candidate list of Samajwadi Party though it has already announced 30 of its 37 candidates. Ally Bahujan Samaj Party would be contesting on 38 seats while the RLD has three seats in its share. The alliance is not fielding any candidates from Amethi or Rae Bareli, the seats of Congress chief Rahul Gandhi and UPA Chairperson Sonia Gandhi. A majority of candidates in the SP list are reportedly from its traditional base of Muslims and Yadavs. Hoping to have the Brahmin community in its corner, the SP leadership zeroed in on Anna. Reports say the party wants to cash in on the resentment Brahmins feel for BJP candidate Sakshi who is known to have been very vocal with his anti-upper caste remarks. There is a sizeable number of Brahmins in Unnao and they could tip the balance for any party, said a daily. Reports also suggest that the party may have backed out of supporting Puja Pal’s candidature for technical reasons. Pal, whose husband Raju Pal was killed a few years ago in Allahabad, now renamed Prayagraj, has most of her legal documents in his name though she has recently married a Kurmi leader. This could have led to the cancellation of her nomination and the party didn’t want to take any chances, said a report.